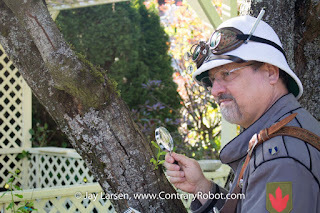 LarsenGeekery Keeping Calm and Geeking on as Contrary Robot. 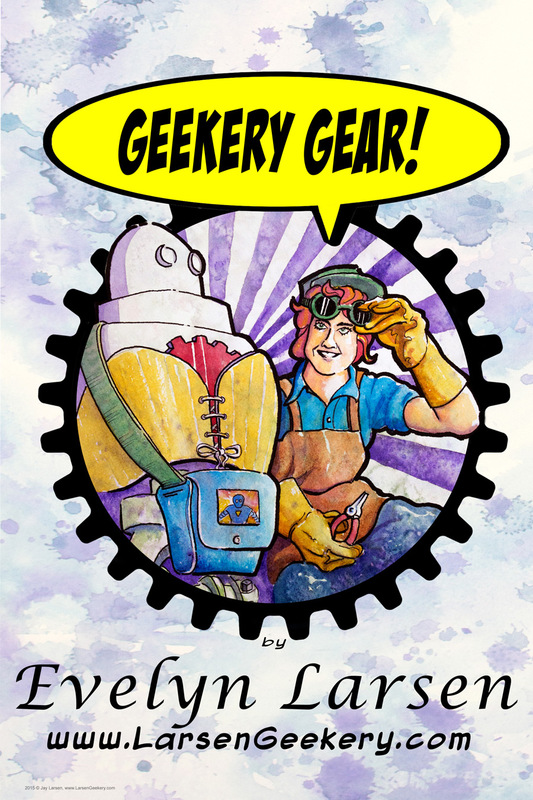 Jay and Evelyn are still hard at work providing you with Geeky Good Art and Gear. But we have rebranded from LarsenGeekery to Contrary Robot! 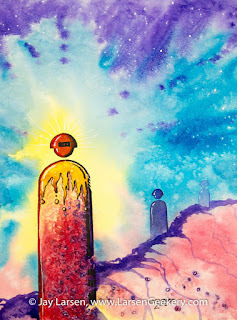 So join us at www.ContraryRobot.com for all our latest news, announcements, art and products. 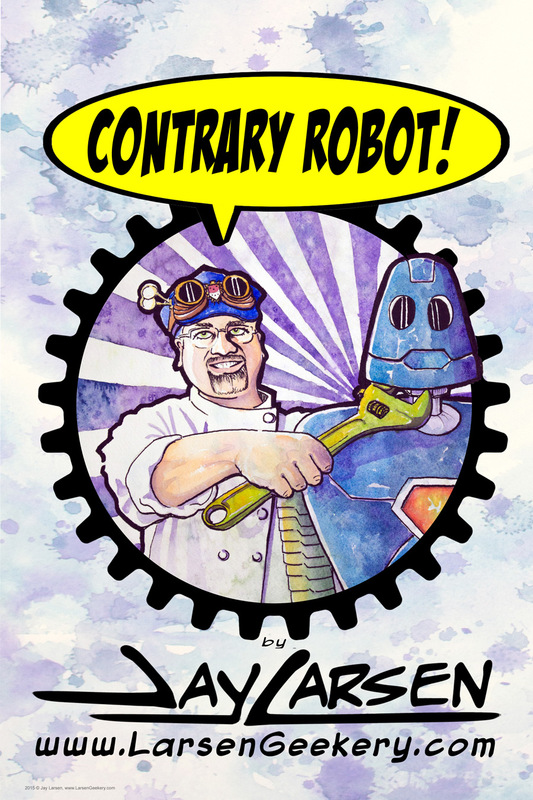 We have a Contrary Robot Blog, an online store, and much, much more. 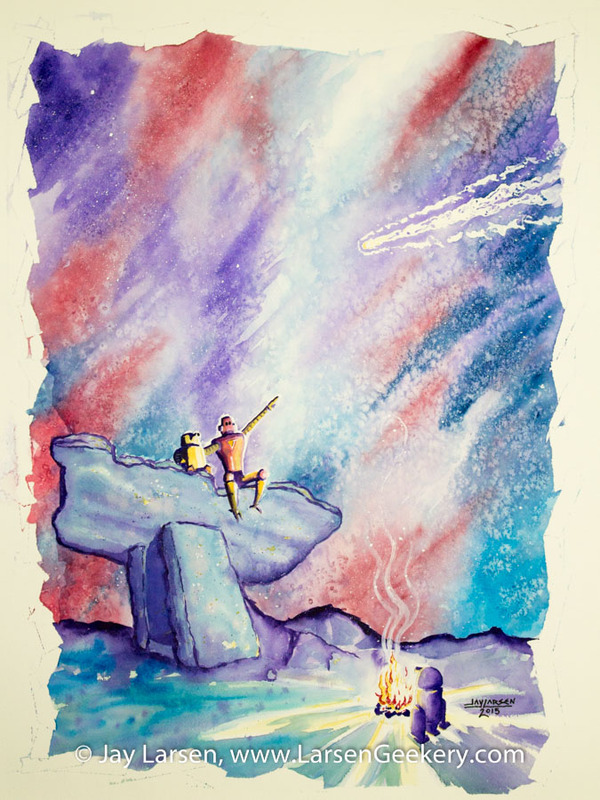 We are still doing live shows and custom commissions. Evelyn has a new line of skirts and bags. 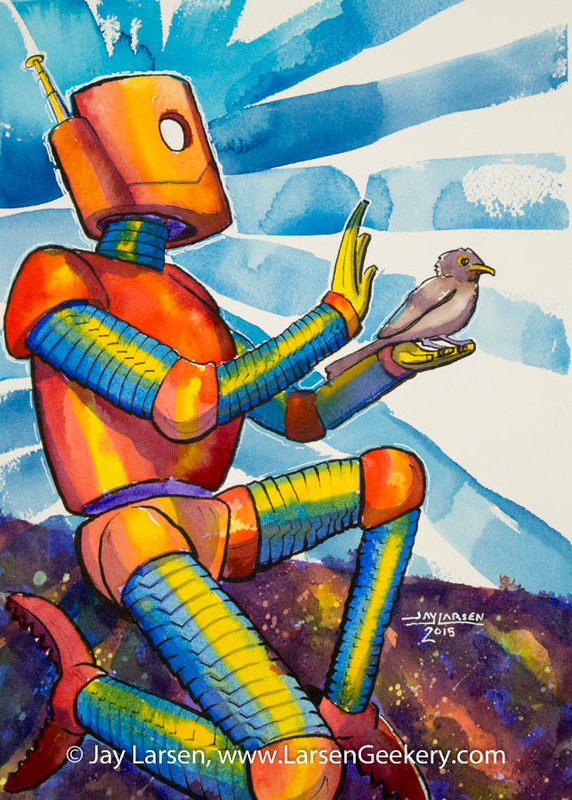 Jay is selling more Retro Robot Art than ever before. 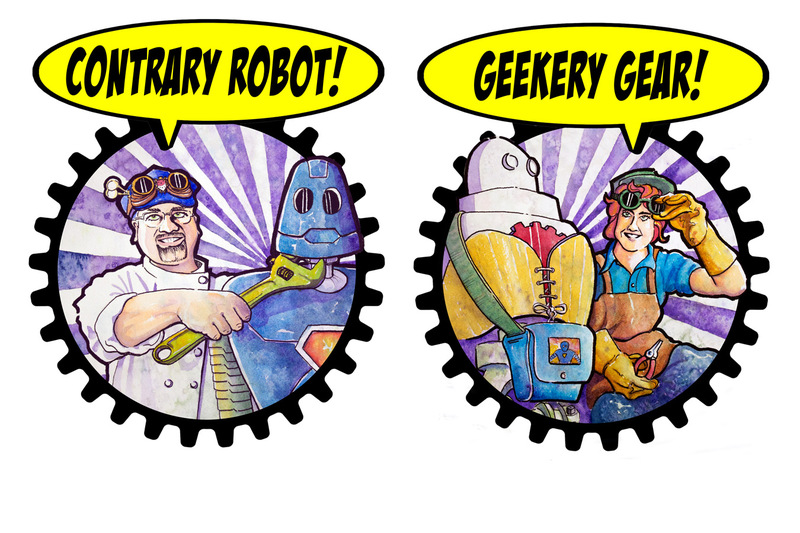 We just outgrew the LarsenGeekery name and needed to make a branding change. So join us as we embark on this Contrary Robot journey. 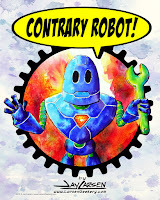 We are on Facebook too: Contrary Robot. 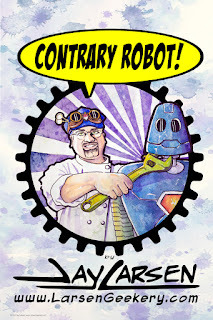 Update your bookmarks to www.ContraryRobot.com and that way you won't miss out on the fun, and we won't have to go searching for you. Watercolor and ink, paintings and illustrations. 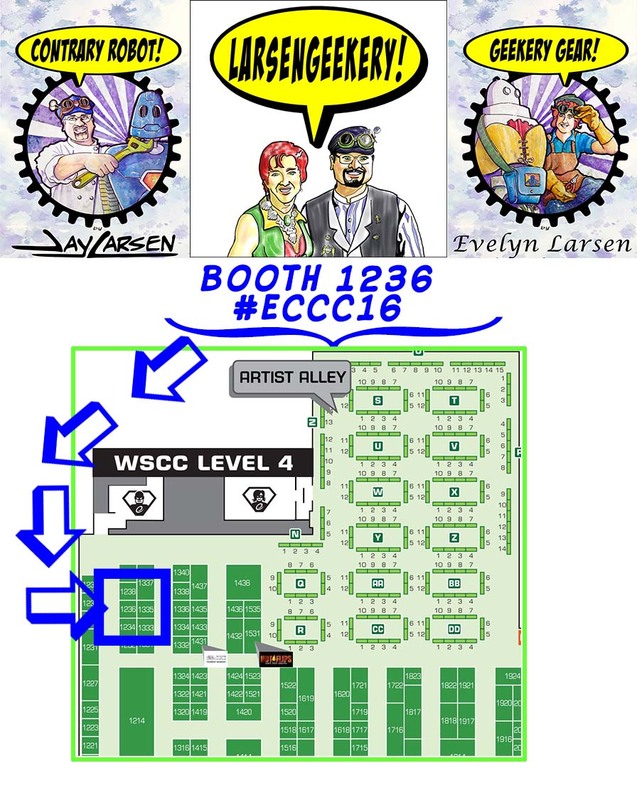 LarsenGeekery will be in Booth 1236 at Emerald City Comicon 2016, April 7th-10th in Seattle. We are on the Main Floor (4th floor) across the Sky Bridge. Jay has all his best Contrary Robot Art their, with prints and cards as well. Evelyn has a whole collection of Geekery Skirts, bags, totes, and patches. 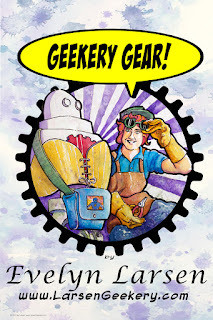 Check us out on Facebook: LarsenGeekery & Contrary Robot. LarsenGeekery will be at Emerald City Comicon, April 7th-10th 2016 in Seattle. Jay and Evelyn will have lots of exclusive gear for you at the show. Happy Solstice from LarsenGeekery and Contrary Robot! 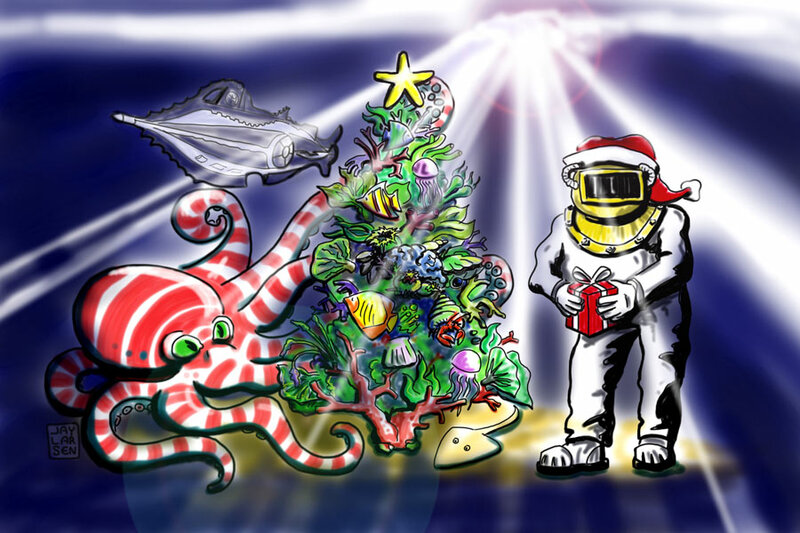 The Happy Geeks and Robots Wish You Happy Holidays! 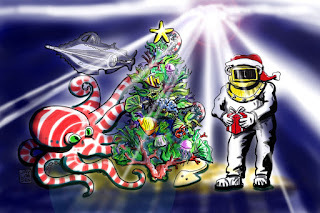 Whichever holiday(s) you are celebrating this time of year, we at LarsenGeekery would like you to enjoy the heck out of them.